Enantiomers of chiral compounds often exhibit enantioselective adverse effects and biochemical processes in non-target organisms. In this study, enantioselective metabolism and toxic effects of metalaxyl enantiomers on primary rat hepatocytes were investigated. Stereoselectivity was observed on both degradation of metalaxyl and formation of metabolites. (−)-R-metalaxyl eliminated faster than (+)-S-metalaxyl, while the hydroxylmetalaxyl, demethylmetalaxyl, and didemethylmetalaxyl metabolites derived from 50-μM (+)-S-metalaxyl after 24 h of incubation were approximately 1.57, 1.43, and 1.86 times more than that of (−)-R-metalaxyl, respectively. According to the methyl tetrazolium (MTT) assay, the EC50 values (24 h) for rac-, (+)-S-, and (−)-R-metalaxyl were 1788.22, 2066.73, and 2263.71 μM, respectively. An accordant enantioselective effect on oxidative stress suggested that the enantioselective cytotoxicity induced by metalaxyl enantiomers may partly contribute to enantioselective oxidative damage and mitochondrial dysfunction. 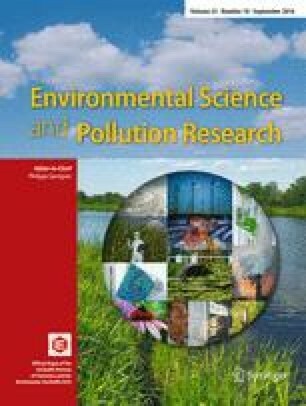 Such results could be of great importance for credible environmental and toxicological risk assessment of metalaxyl. Xinru Wang and Wentao Zhu contributed equally to this work. The online version of this article (doi: 10.1007/s11356-016-6797-8) contains supplementary material, which is available to authorized users. We gratefully acknowledge financial support from the National Natural Science Foundation of China (21207158, 21337005) and Chinese Universities Scientific Fund (2012RC026). All animal experiments were performed in accordance with the current Chinese legislation and approved by the independent animal ethical committee at China Agricultural University.